Owning a rental property is the perfect way to have a continuous source of income that requires little or less supervision. However, the business of land-lording also has its downsides. For one, the possibility of accepting a tenant who does not pay rent or can cause damage to your property may otherwise prove that the land-lording industry may sometimes be more of a liability rather than an asset. Screening your candidates for tenancy is an important first-step process before allowing any tenant to rent your leased apartment, house, or condo. 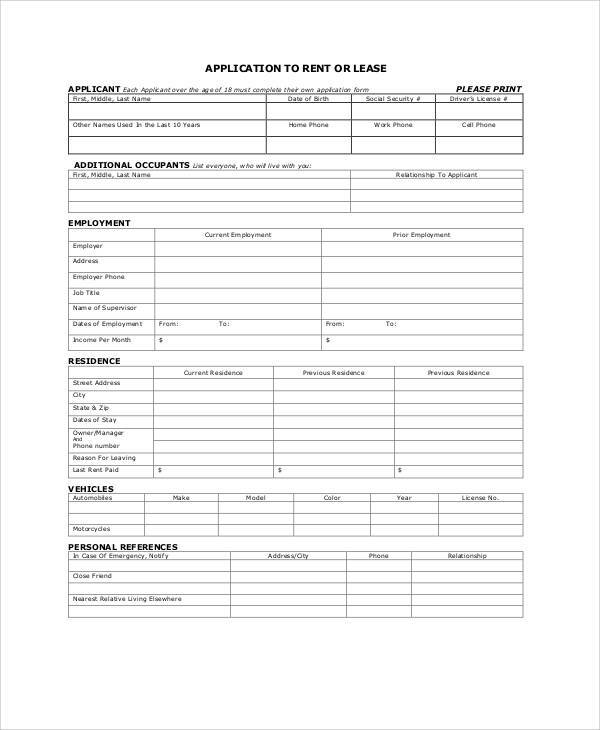 An application form allows you to obtain important information about your applicants that might help you determine if they can be potential renters. 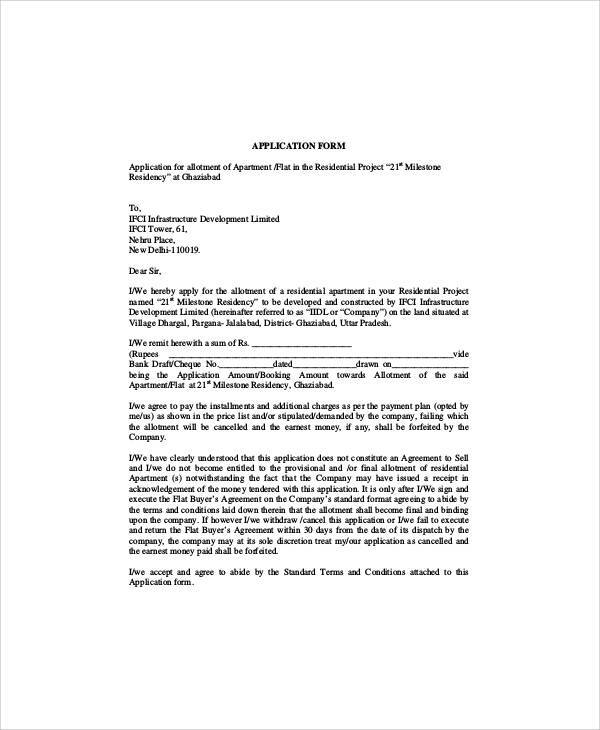 Check out the Sample Forms we have prepared for you. They are free for downloading and can be edited per user’s specifications. Screening your applicants can be quite an overwhelming and challenging task. 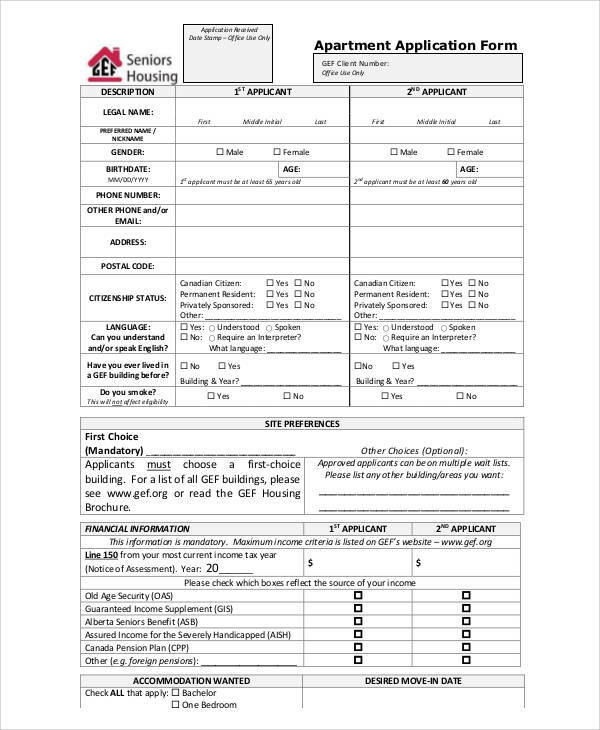 With the use of our Sample Forms, Sample Application Forms, or Rental Application Forms, you will be able to easily print out or download our template saving you from the hassle and inconvenience of having to structure one up from scratch. 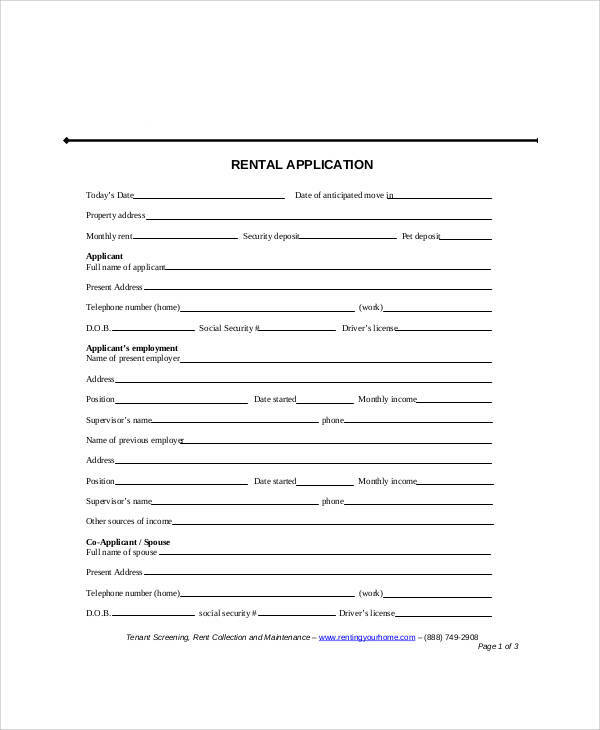 Having a renter application form is your first step toward renter verification. 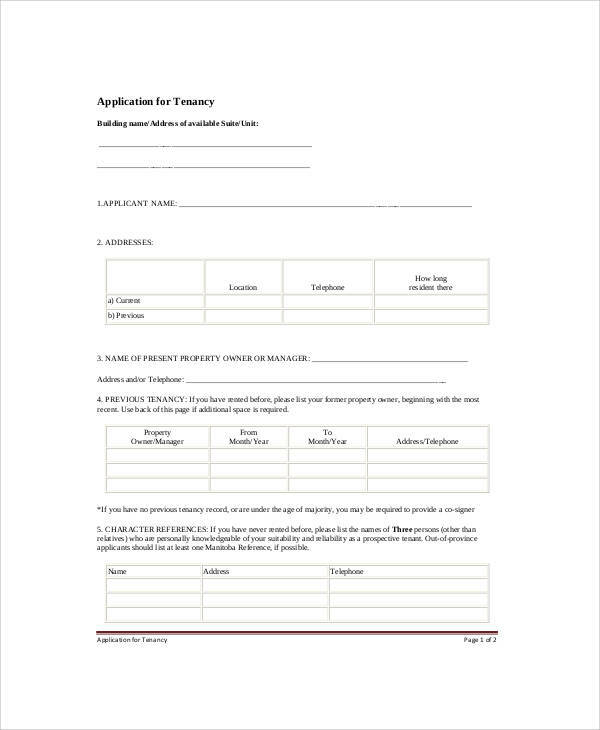 Make sure that your application forms cover everything you need to know about a tenant. 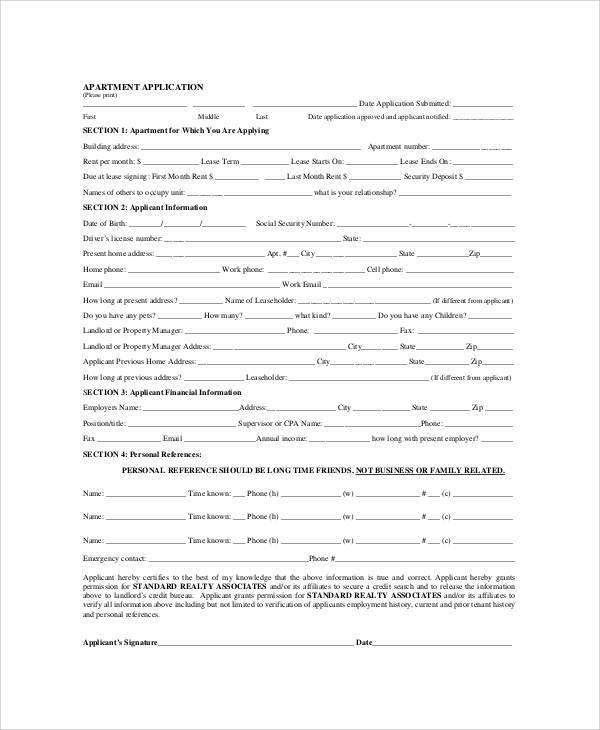 A good application form should require an applicant to provide financial information, employment details, and personal information. 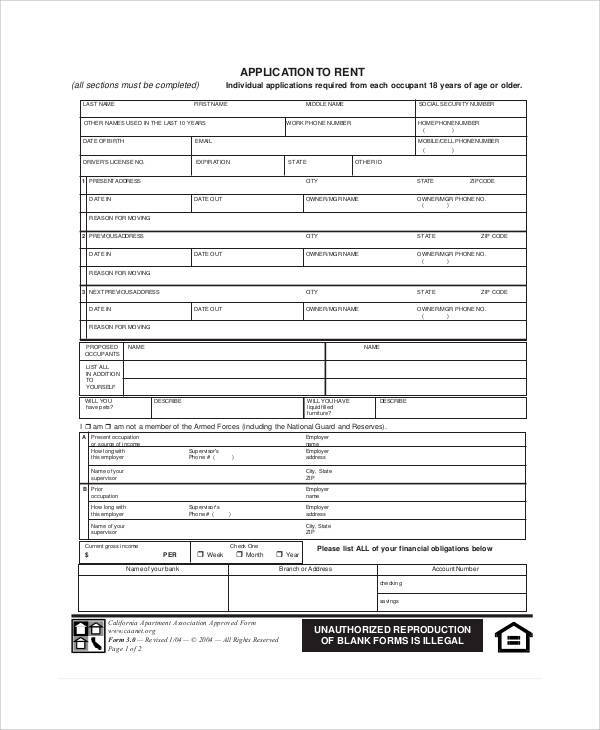 A renter’s application form should also include a consent clause that allows a landlord to conduct background check, run a criminal record check, and run a credit history check. It is illegal to go through confidential and sensitive information of a person. Be sure to have a consent clause to avoid being sued for invasion of privacy. Credit checks are a landlord’s best bet to finding out if their tenant is capable of paying rent due and paying it on time. Credit checks will allow you to see details abut a tenant’s credit history going back to at least 10 years. When doing credit checks, a landlord should look for a history of late payments, bankruptcy issues, charged off credit card accounts, or current debts. If an applicant has hefty loans and unpaid balances, it may be an indication that his finances are struggling and might not be able to keep up with the rent. On the other hand, doing a background check will let you peer into the applicant’s past such as previous evictions, criminal records, or any public records such as legal battles. Connecting with previous landlords and employers allows you to dig a little deeper into the character of your tenant. When contacting a former landlord, check if the tenant has paid all rent and if he does not have any withstanding rental debt; also try to verify if the renter does not have a history of late payment or incurring major damages to property. When connecting with the tenant’s employer, verify with them if the tenant is currently employed with them and if he has a steady and reliable source of income that will enable him to pay his rent. 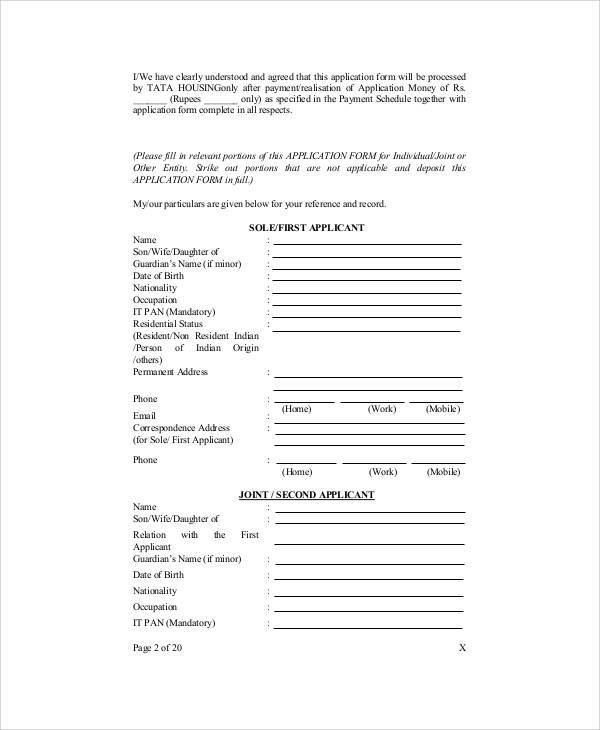 Another way to check on this option is to require the applicant to submit a copy of his recent payslip.